I have discovered a love for Window Stars. 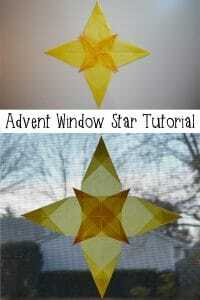 Earlier in the autumn the first regular contributor to our site Erin shared a fantastic tutorial for creating a Fall Window Star and today for the first of many Christmas Book and Craft posts you will see on Rainy Day Mum I am sharing a fantastic Christmas book and how to make a super simple Winter Window Star to make with the book. One of my aims with the children is that they understand the true meaning of Christmas as well as enjoy it for the celebration that it has become and I love discovering versions and variations of The Nativity Story to read and share with my children. Song of the Stars a Christmas Story by Sally Lloyd Jones is one of my favorites – written in poetry it looks at how the natural environment may have reacted to the birth of Jesus from the Stars in the Sky through to creatures in the sea and on the land. In a world, where there is so much destruction of the natural environment, pollution, deforestation, hunting and our own overpopulation of the world this is very much a story of this time as well – you could reflect on it with your children as how the natural world is waiting for a new saviour to come and help them like Jesus did over 2000 years ago. 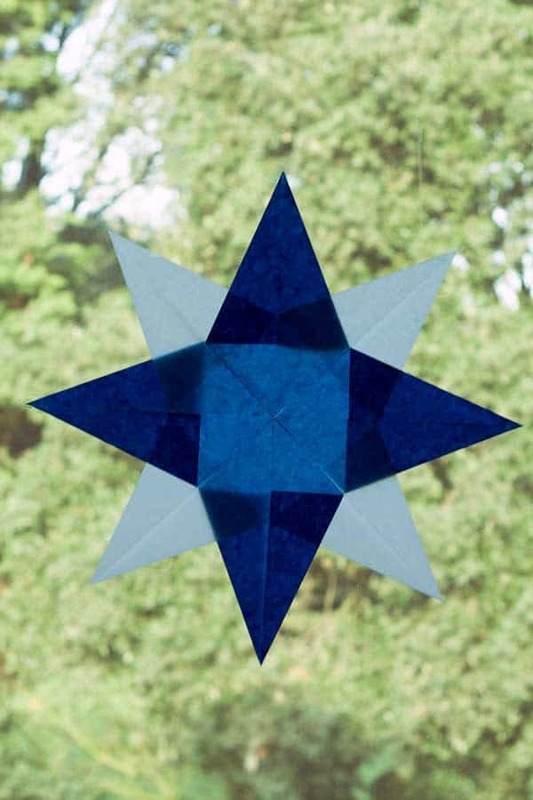 As the book starts with the stars in the sky and finishes the same it was perfect to create a Window Star with – another seasonal one. 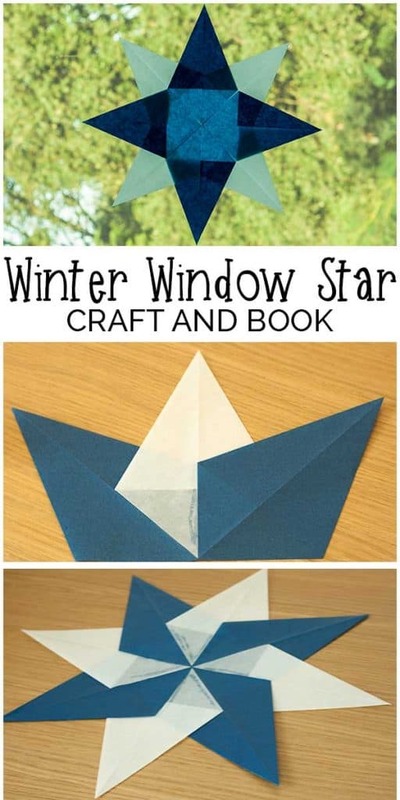 This time a Winter and unlike our autumn one this one is the simplest design and you and your children can create this together. 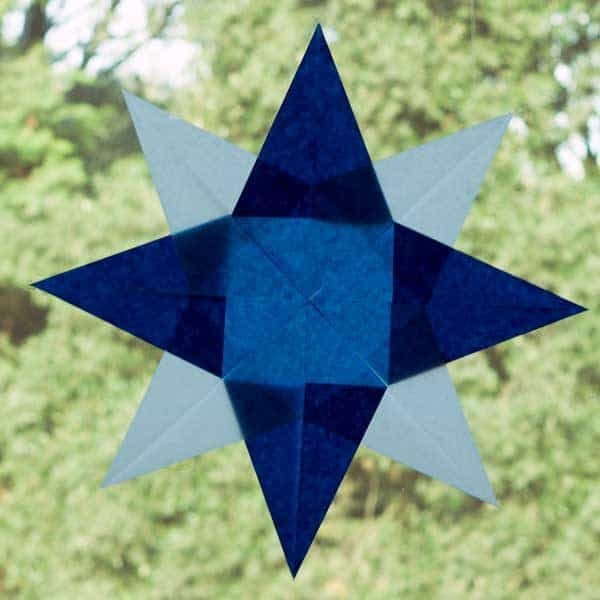 Kite Paper – 8 sheets, 4 blue and 4 white – here is a pack from Amazon but I tend to buy mine from Myriad Natural Toys and Crafts in the UK and buy the pack with 100 sheets at a time. 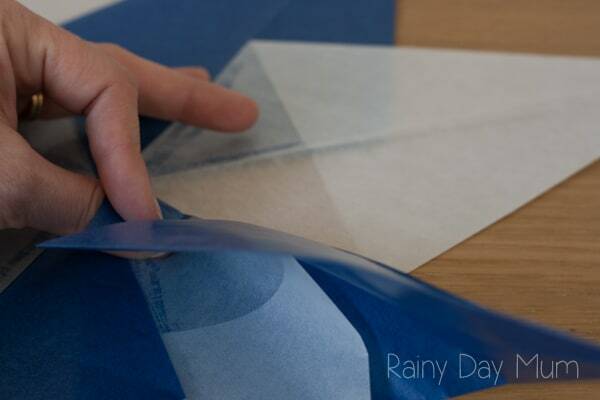 If your Kite Paper isn’t already in squares your first step will be to make it into around 6inch squares. 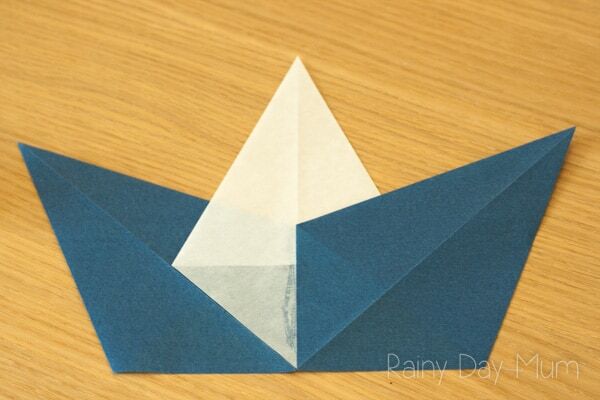 Fold your first square in half to make a triangle. 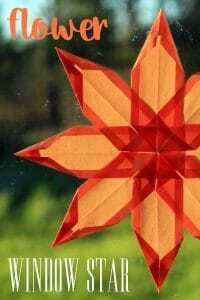 Open the square and take one of the corners not on the fold and fold to the center seam. 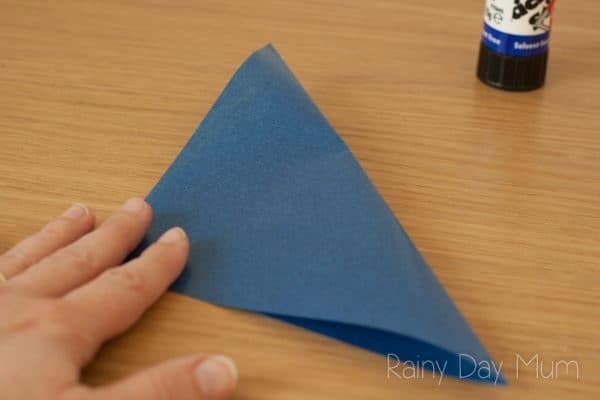 Using your thumb press firmly to get a clean fold along the outside. 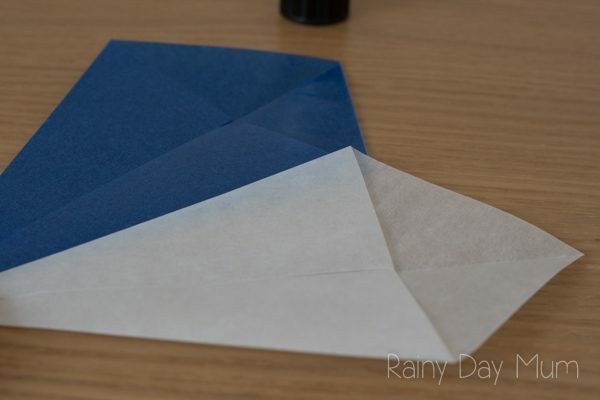 Do the same for your other 7 pieces of Kite Paper. With the fold at the BACK of your first diamond shape place a little glue along the bottom right-hand edge of a blue diamond. 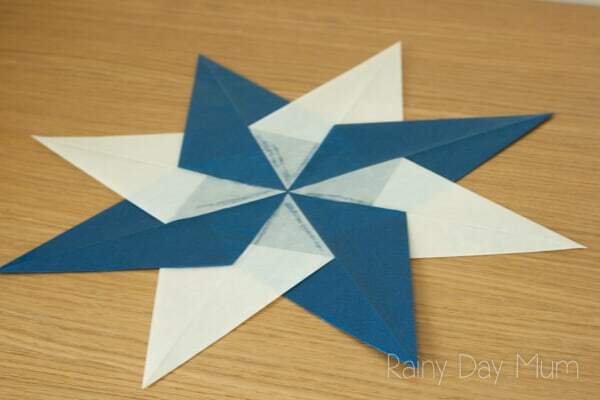 Lay a white diamond over the top and press to check that the glue has stuck – see below for the angle to use for the simple window star pattern. 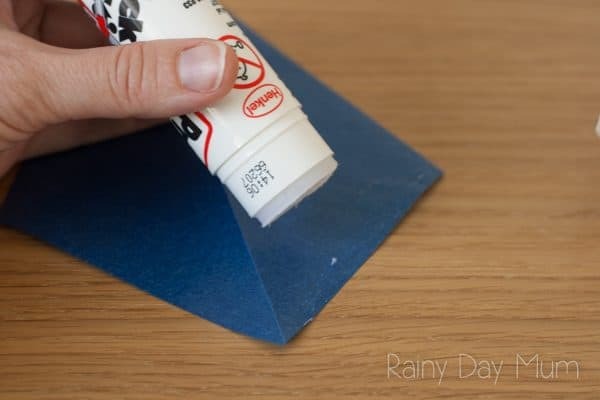 Repeat the glue along the edge and add the pieces together alternating blue and white until the last piece. 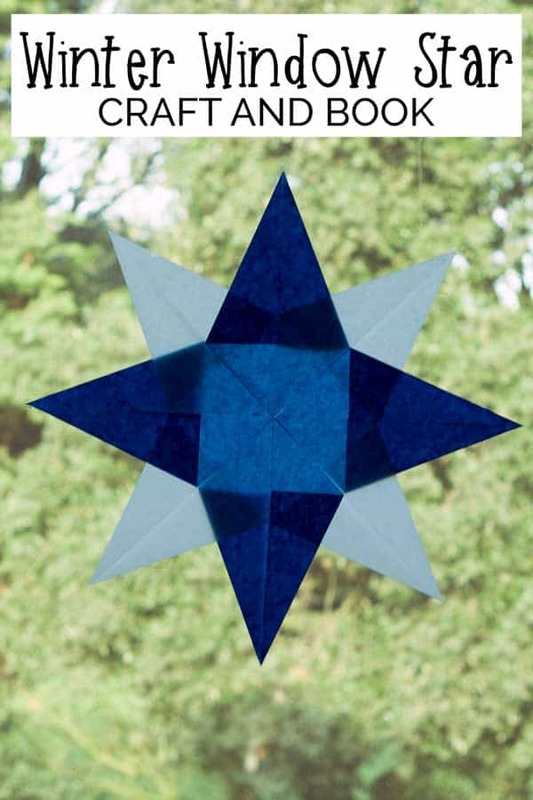 Attach to your window for this beautiful Winter Window Star to decorate your home this coming season. 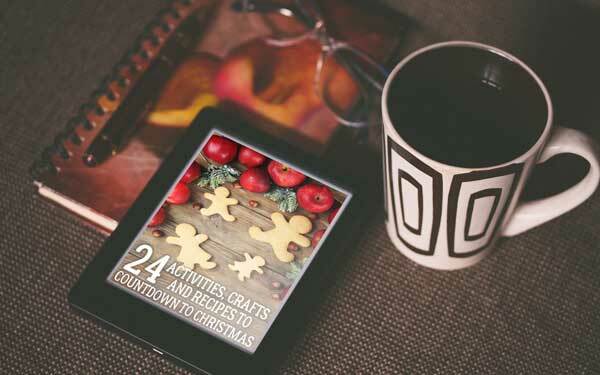 If you have loved reading and creating with your kids then make sure you sign up to get notified about the Storybook Advent Series that we will be running again this year on Rainy Day Mum where I will be sharing 4 weeks worth of Christmas Crafts and Book from the first Sunday of Advent through to Christmas Eve for you and your kids to do together. 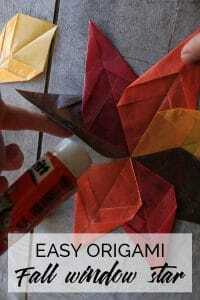 As for today then check out these other 4 Christmas Crafts and Books in the Christmas Craft and Book Series by Emma Owl to create and read with your children. I love this idea! 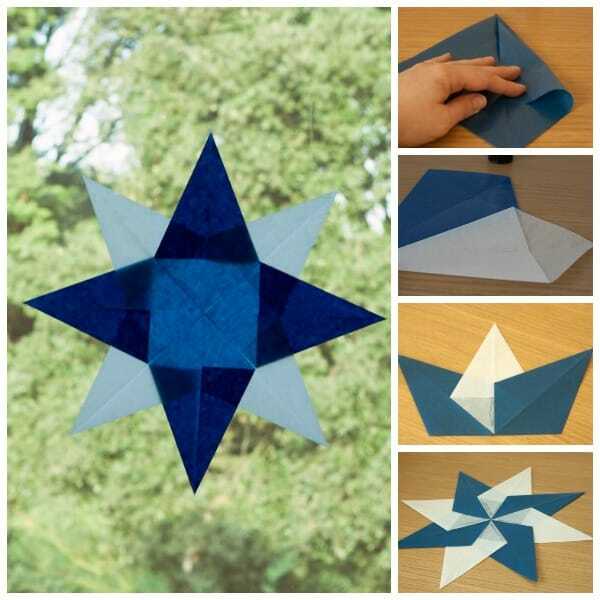 My daughter is completely obsessed with folding paper at the moment so we will definitely give this a try! Window stars are completely addictive, aren’t they?! We have our front windows full of them, and we’re always trying to squeeze in a new one 🙂 Beautiful job Cerys! Wow – this is gorgeous! Such a beautiful craft.